The management promotion game favors smart people. But the management work doesn’t require it. Managers have a “higher role” than other workers, because their work involves “more complexity”, which suggests the need for a higher “MPA (mental processing ability)” for managers. Let me explain why this is complete nonsense. 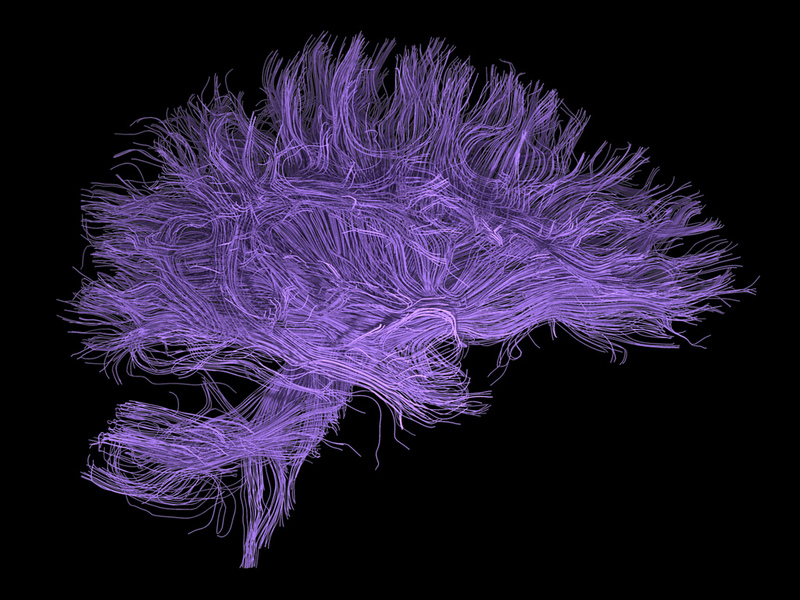 Scientists seem to agree that the human brain is one of the most complex systems in the universe. Together with the complexity of the rest of the human body, this makes each human being very, very complex. The Law of Requisite Variety requires that anything that controls a system must be at least as complex as the system being controlled. When we translate this to management it means the manager of a system must have more complexity than the system, in order to fully control it. When I am the manager of a team of five people I can never have more complexity than this complex system of five human beings (which includes all their interactions). It’s plain impossible! The Darkness Principle explains that there is absolutely no way for one element in a complex system to know the entire system. The problem is the word control. We shouldn’t use it in a social context. Instead, if we should use terms such as lead, coach, motivate, constrain, govern, and help. With these words the Law of Requisite of Variety does not apply, because we choose to ignore part of the complexity. A surgeon treating a human heart chooses to ignore a significant part of the complexity of the human body. He only has a focus on the heart. In fact, during an operation the surgeon might ignore so much complexity that his job could be merely complicated, not even complex! However, the nurses who handle the patient before and after his operation focus on the patient’s well-being, which is definitely a complex matter. But they ignore the details of the heart. That’s what the surgeon is for. Now, what about the hospital director? Does he have a “higher role”? Is his work “more complex” because his scope of concern is the entire hospital? Does the role of the director suggest “higher mental processing ability” than the role of surgeon or nurse? With hundreds of patients and workers in the hospital the amount of complexity is astounding! Nobody can ever claim to “control” the hospital, because indeed requisite variety would require more complexity in the director’s brain than the complexity of everyone else combined! Obviously, this is not a reasonable suggestion. With a complex system there is no such thing as centralized control. The director ignores a tremendous amount of complexity, and only has a focus on the things he considers important. The rest is all delegated to smart knowledge workers and creative networkers. In fact, the work of the director could be less complex than that of a nurse! Delegation of control is the only way to manage complex systems. There is no other option. If we didn’t have delegation, the President of the United States would have to be a person with the highest mental processing ability of the whole country! Apparently, the country has performed quite well without such people. The idea that management work is “more complex”, and that the management role suggest “higher mental abilities”, is complete and utter horse crap. It is a line of thinking of people who have never studied complexity science and complexity thinking. Most likely they are still stuck in cybernetics, control theory, and machine-metaphors that are incorrectly applied to social systems. It is no surprise that many managers love this kind of thinking! Who doesn’t want to feel smarter than others? Confirmation bias will make sure that any theory gets adopted easily when it makes people feel more important, and validates their higher pay. And it’s true! Top managers are (on average) smarter than others! I was told some research claims there’s a correlation between higher management layers and higher mental processing ability. But that’s obvious for any complexity thinker. Does that mean that the work in those higher management layers is best done by white, tall, handsome males with grey hair? Does it mean that the work requires more corruption? No. You’d be a fool to believe this. Likewise, ýou’d be a fool to believe that higher management layers require higher mental processing ability. The reason managers are probably (on average) smarter than non-managers is quite obviously a side-effect of the promotion game. There are few high positions available in traditional hierarchical organizations. Everyone who wants to make a career and earn more money is required to play this game! For various cultural and political reasons the promotion game favors people with grey hair, the male gender, white skin, and a less-than-honest approach to climbing the corporate ladder. The promotion game also favors smart people. It is the game of climbing the corporate ladder that benefits those with higher mental processing ability (and length, and white skin). But when those smart people get settled in their comfortable chairs on those higher management levels, they might be disappointed. The actual management work that needs to done at those higher levels has absolutely nothing to do with mental abilities. In fact, the smartest thing to do would be to delegate as much as possible. The work they keep for themselves might only be just a little complex. Just look at me! I’m CEO of Happy Melly, and I do almost nothing! It’s the best way for managers to keep a feeling of control. Read more: check out my Management Workout articles. Agile Management - Complexity Thinking View more presentations from Jurgen Appelo. Agile Management - Authority & Delegation View more presentations from Jurgen Appelo. Are You a Creative Networker? The basic thesis is that managers aren’t doing the work itself, that is best done by the talent people at their disposal, but what they are doing is ensuring these talented folks have all the resources they need to do their work. The value provided by middle managers in such an environment is in project management, allocation of resources and generally coordinating the talented individuals required in such knowledge intensive industries. Sorry, I provided a link to the research paper I was referring to but it stripped it out. But the Law of Requisite Variety can be looked at differently: “Only variety (complexity) can absorb variety (complexity) “. The system “heart surgery” absorbs the complexity of possible complications in any surgery by a high diversity of specialized doctors and nurses. The system “hospital” absorbs the complexity of its patients by specializing and applying a structure of autonomous units. In this sense, the Law of Requisite Variety is a very helpful mental model for the management of complexity. Of course, also for the CEO of Happy Melly – who absorbs the complexity of his environment by, well … , by writing blogposts and being a creative networker. I am in complete agreement Hans. Thanks for this nice elaboration! I finally found some time (or made it a priority I guess) to put some words down to this post. Since you and I had the email discussion I felt I should at least try to put my point across to again disagree with you. As you did point out, your reading of Jaques’ work is very limited and therefor I would argue your understanding of his work is also limited. You disagree with the fundamental premises (as you have understood them) and then stop reading, granted Elliot’s own work is pretty poorly written but there are other sources. Interesting approach Jurgen, I would have assumed you’d agree that looking for, and trying to understand views that are contradictory to your own is a good way to further learning, confirmation bias and all that (which is why I enjoyed the exchange). Let’s start from the beginning of your post. This applies in an organisation designed on requisite principles in a managerial accountability structure, not as a description of organisations in general. Furthermore, it is not just managers that have a role based on level of complexity; all employees do which means that there are specialist roles at higher levels than some management roles. You are also confusing complexity in the broader sense with the term complexity as defined in Jaques work. In this context we use Time Span of Discretion (TSD) to understand the complexity of the role. TSD relates to how far into the future they can think, or how far into the future they can work without seeing the results of their work. TSDs correlate with complexity in that people with longer TSDs can keep more variables in their heads. This is where your example of the surgeon and the Hospital Director indicates a complete misunderstanding of the concept of Levels of Work. A surgeon’s work of role is highly technical and requires a tremendous amount of technical skill and deep understanding of the human system. Very complicated work indeed, but it is not complex. Usually the surgeon can rely on his/her skills, detailed knowledge and previous experience to get the job done. The Hospital Directors role has a longer TSD than a surgeon in that the outcomes of the decisions in that role are farther away in time. The role of Hospital Director has divers stakeholders to manage, a more abstract environment with higher uncertainty, and make more use of judgement than technical skills and knowledge. This is not to say that the surgeon could not have a higher MPA than the Hospital Director – it just says that the two roles are at different levels. You are again confusing people and the roles they have in the organisation. than your job’s, you will not be able to succeed in that position even if you have succeeded in the past. You will micro-manage and, in the long run, shrink the position down to something that fits within your TSD. I agree 100% that delegation of authority and accountability to the lowest point possible is a great way to work, however, you cannot delegate your own work of role. All roles comprise work at different levels but the level is based on the longest task completion time of the role. A tremendous amount of unnecessary anxiety and stress could be avoided if tasks were appropriately understood in term of their actual complexity and done at the appropriate level in organisations. ignored and all effort is directed at the technical and commercial elements, but I digress… back to the blog entry. Again you are completely missing the point. No one has suggested that by virtue of being in a role his or her MPA is higher. If you think that all work is of the same level of complexity in an organisation you are kidding yourself. Actually most managers and organisation don’t love this kind of thinking as it threatens the power base upon which they currently might operate. A requisite structure means that you have to add value to the work of your staff and that you are accountable for the performance of your team. Power comes more from personally earned authority than role-vested authority, quite a challenging proposition for many. I’m the first to agree that most of our organisations and management structures are terribly dysfunctional and that we need to rethink how we do things. Most organisations today have too many layers of management with poorly defined roles and misalignment of authority and accountability. Like a mentioned in my email, I think there is something to learn from Sociacracy in how we think about organisational decision-making and structures. I don’t however, think you can eliminate hierarchal structures however hard you try; you will simply introduce a shadow organisation with a hierarchy. If left to their own devices, humans will organise in hierarchies but I’d much rather have one based on levels of work than one based on alternative power structures. Thanks for sharing your thoughts. I appreciate it. I wrote my blog post as a generalized reply to anyone who thinks managers have to be smarter than their subordinates. Yes, your email about the work of Elliott triggered my writing, but my message is not confined to Elliott’s work. I already gave Elliott’s work enough of my time. Not only his writing was terrible, I also disagreed with many things I read. Indeed, learning about contrary views can be useful. But that’s not the same as (what I considered) wasting my time reading nonsense. I also don’t read any work from Creationists just to “challenge my thinking”. There is a tremendous amount of more valuable work out there, by more capable writers, and I must choose wisely. I can only read a few dozen books per year. Maybe you are right, and the message in this post does not apply to the work of Elliott. In that case you can simply ignore it. (I’m afraid it still applies to many other people.) However, considering my limited experience with Elliott’s work I _did_ read, I have no reason to believe his other stuff is any better. Your suggestion that Elliott’s use of the word “complexity” is different from the way actual scientists tend to use it, is yet another reason for me not to go down that road. But I digress. Again, thanks for your input. But I’m just not interested in discussing TSD’s, MPA’s, etc. I already gave it my time, and Elliott blew it.